Several hundred bags of Stacy's Simply Naked Pita Chips were mistakenly filled with a different flavor. Sometimes reading the label on a bag of snacks might not be enough to avoid ingredients that can trigger severe allergies. 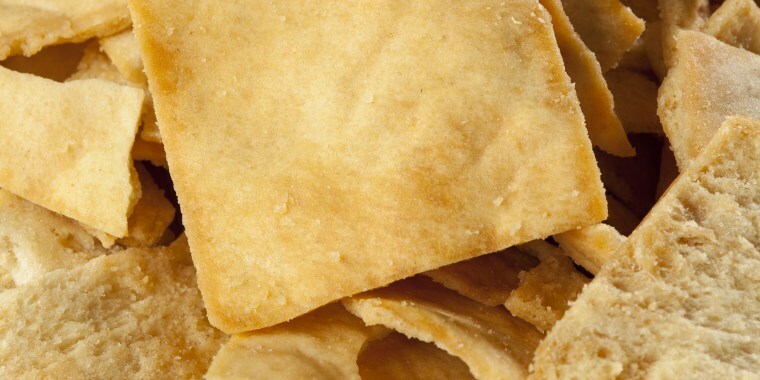 This week, the Food and Drug Administration (FDA) and Frito-Lay announced a voluntary recall of Stacy's Simply Naked Pita Chips because 228 bags were inadvertently filled with a different flavor of pita chips that could expose consumers with severe milk allergies to a potential allergen. The FDA announced the recall after one consumer reported an allergic reaction after consuming some chips in a bag that were not filled with the company's Simply Naked flavor. Anyone with a milk allergy or a severe sensitivity to milk is now being urged to immediately discard or return the chips because eating them may trigger a life-threatening allergic reaction. The recall applies to the 7 1/3-ounce bags of Stacy's Simply Naked Pita Chips that have both a “Use By” date of April 23, 2019, and a nine-character manufacturing code of 65M127902 listed below the “Use By” date. This information can be located on the top right side of the front of the bag. The recalled bags also have a UPC code of 028400564632 listed on the bottom right side on the back of the chip bag. The recall does not apply to any other Stacy’s products or chip flavors. Any consumers with questions can reach Frito-Lay's customer service line at 800-352-4477. Stacy's is the latest snack brand to issue a product recall due to an item mistakenly containing a milk allergen that wasn't labeled properly. Utz Quality Foods issued a multi-state recall of Golden Flake, Good Health, Utz and Weis brand tortilla chips in May after discovering a potential contamination of a milk allergen not listed on the product ingredients' labels. Mislabeling is a frequent cause of recalls for products that may contain potential allergens. The makers of Wish-Bone House Italian Salad Dressing recalled 7,000 mislabeled bottles in July because they didn't indicate that the product contains both milk and egg.